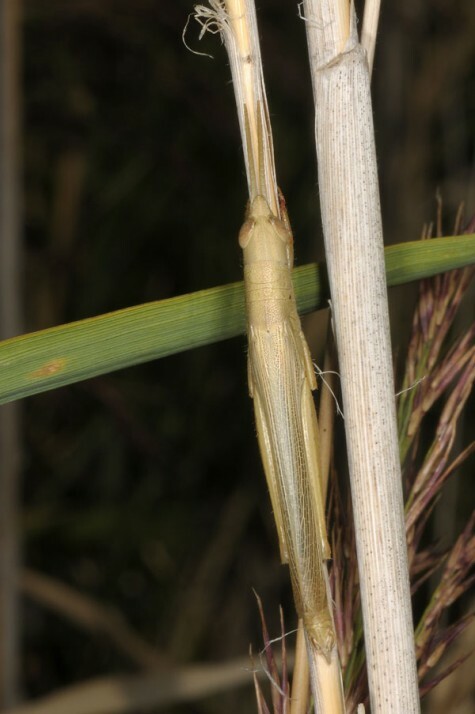 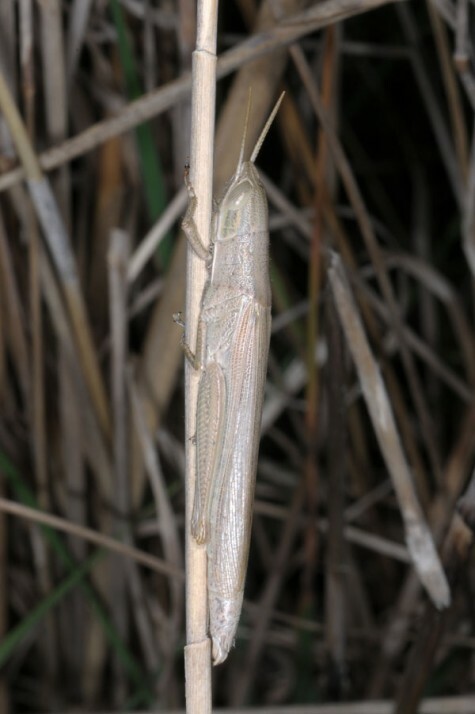 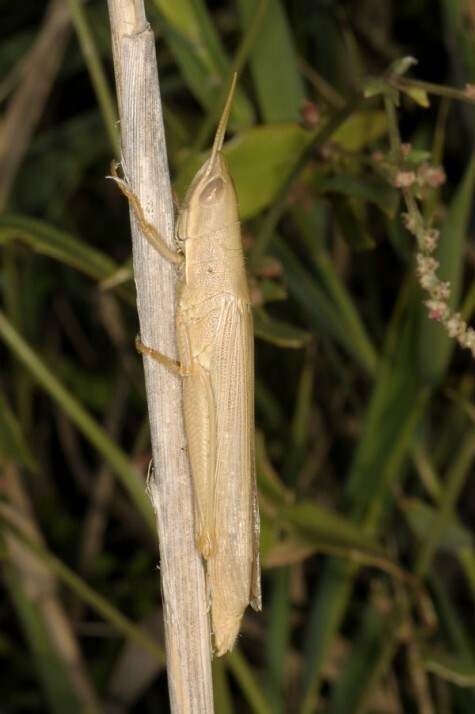 Tropidopola graeca inhabits most often large wetlands with reed (Phragmites, Arundo). 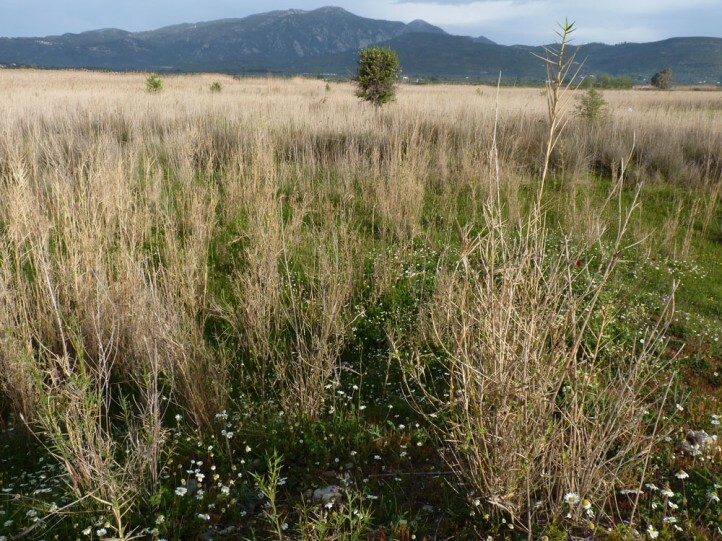 I recorded it in a large but nevertheless threatened (cultivation) wetland east of Ireon in Samos Island (Greece). 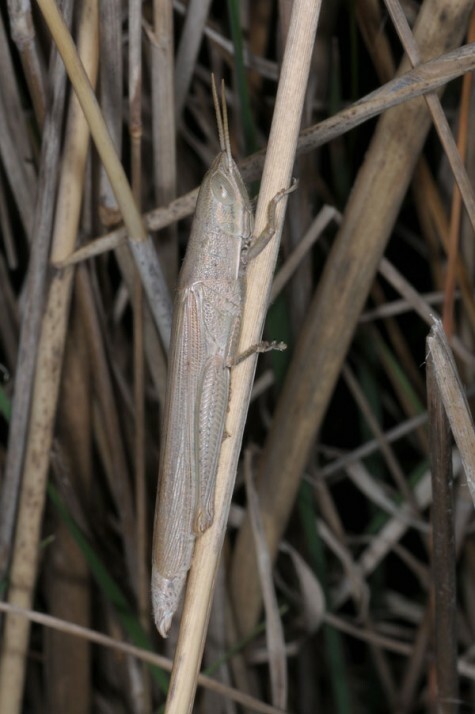 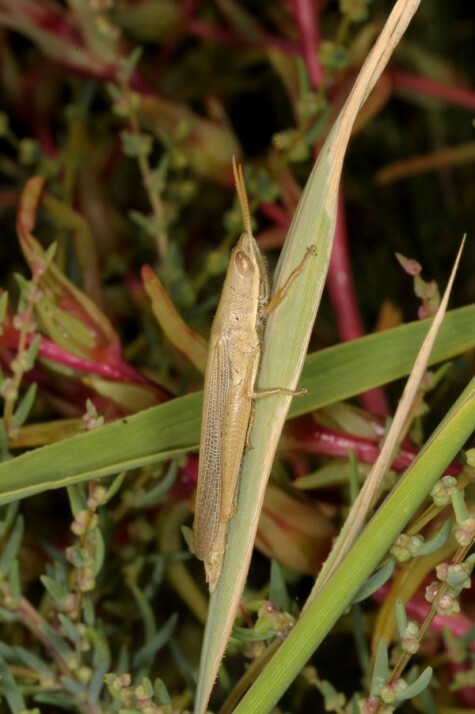 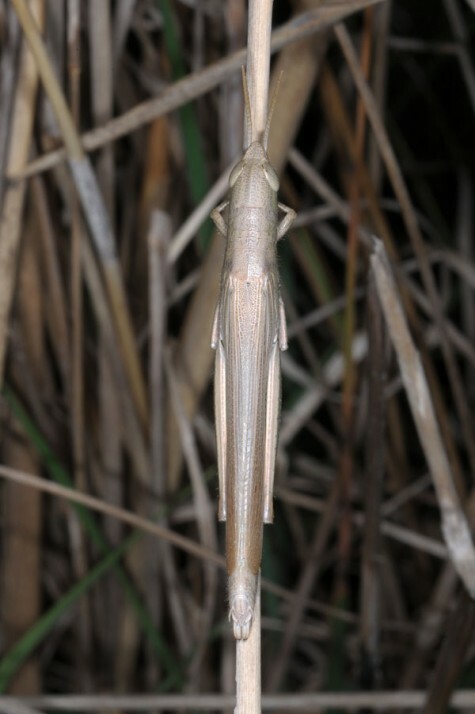 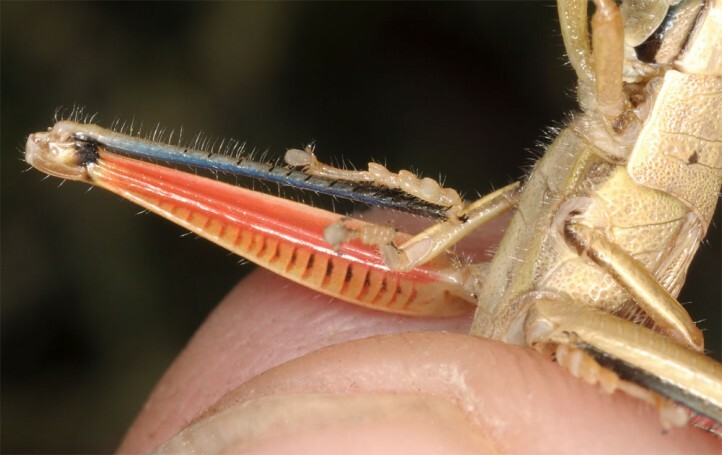 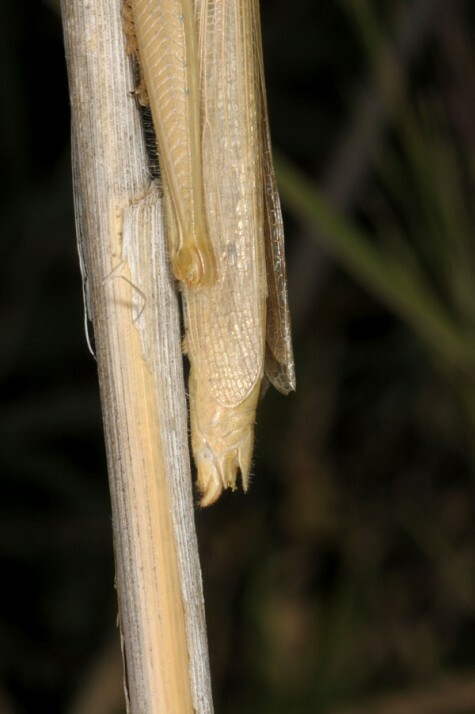 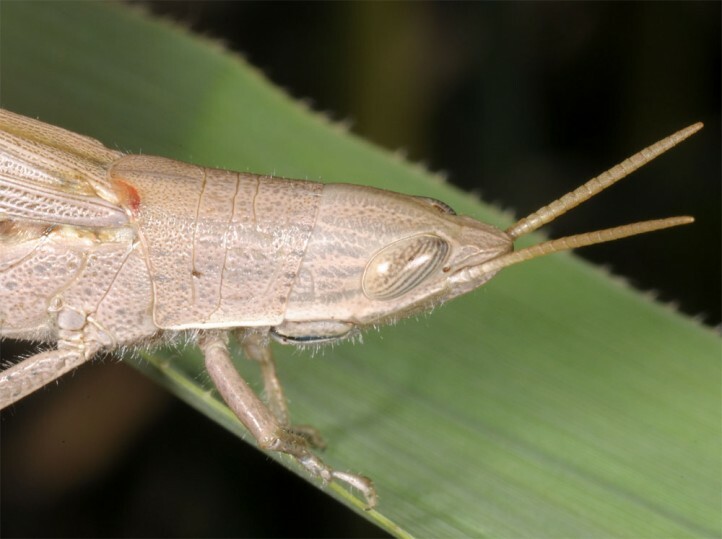 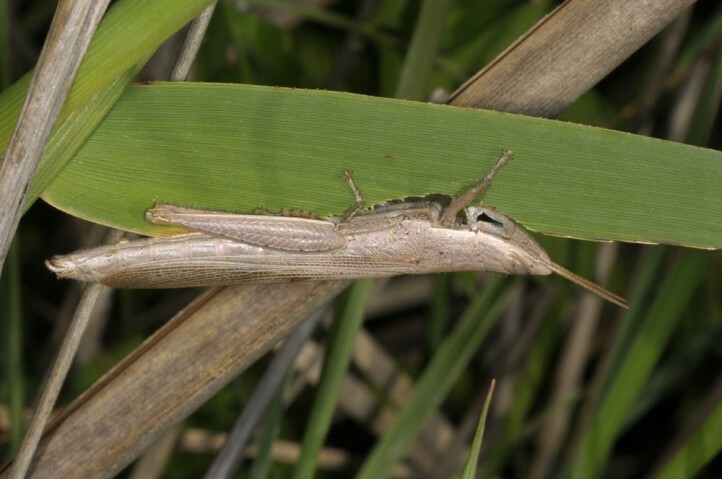 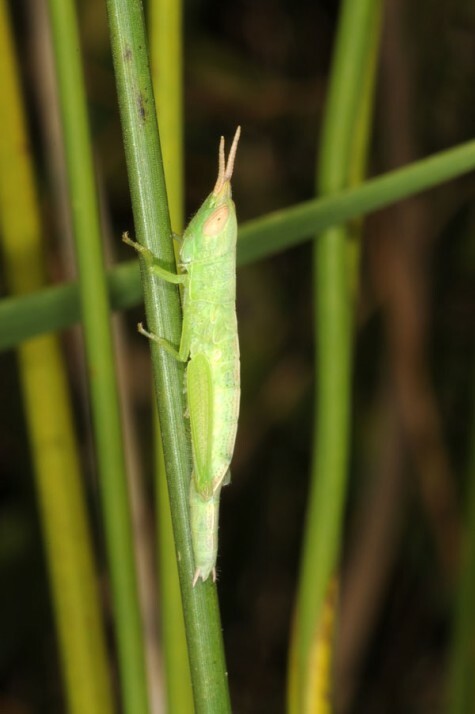 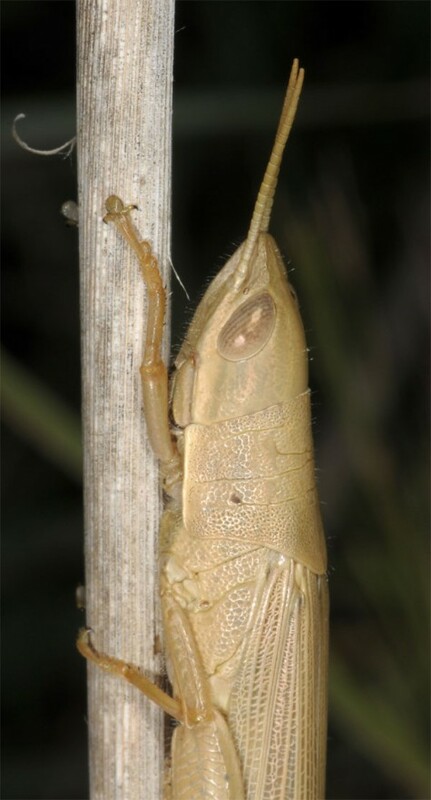 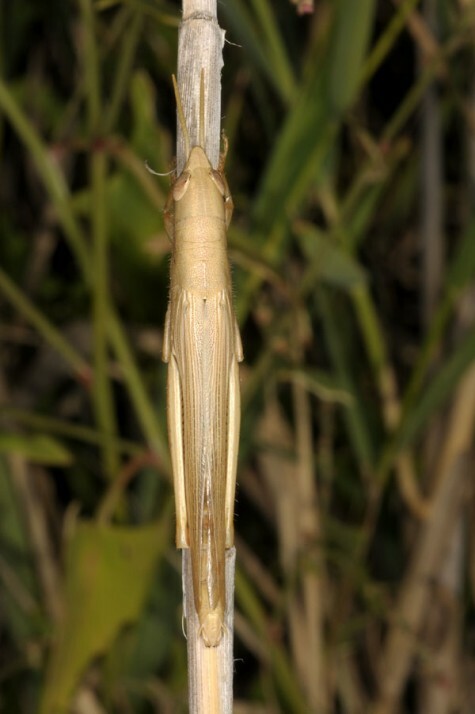 The adult grasshoppers hibernate. 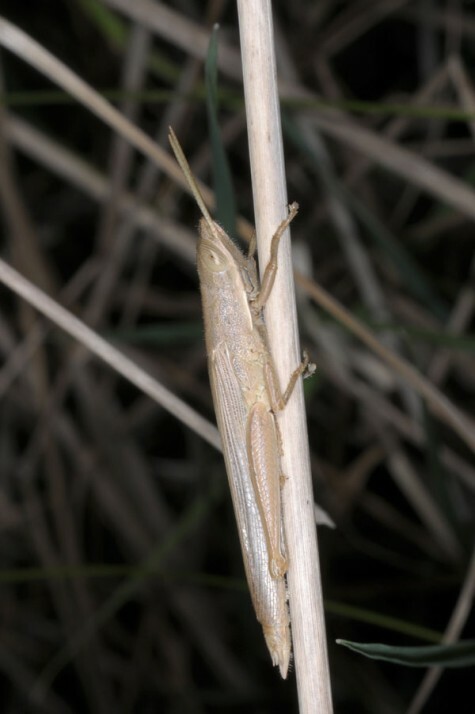 Then they are normally of brownish colour, whilst there are also green individuals in summer. 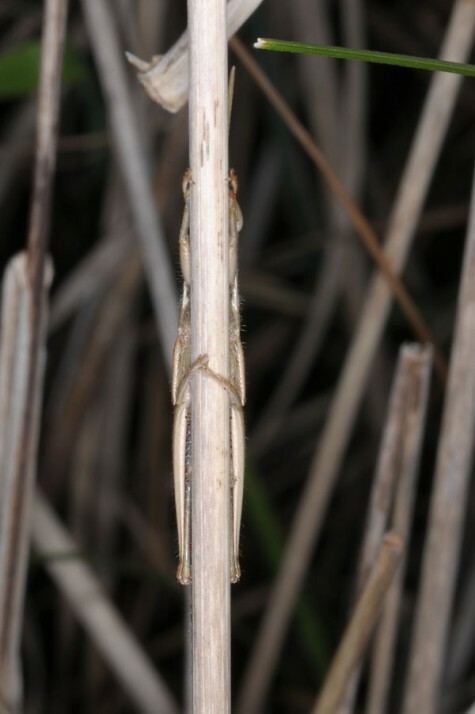 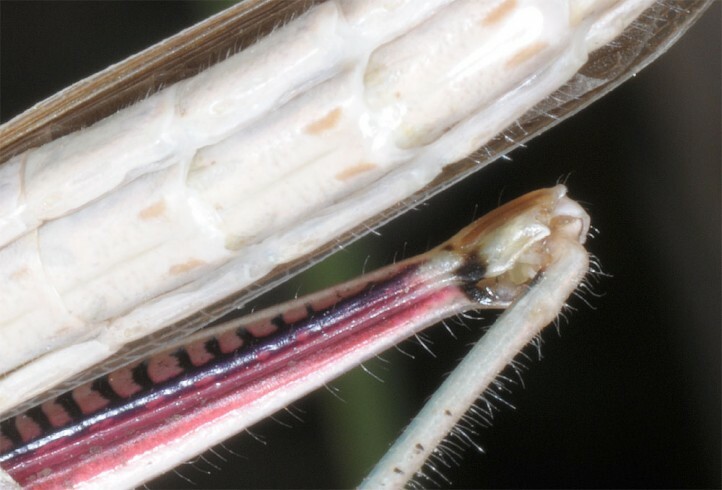 They ususally sit parallel to a reed stem and always position them so that the stem is between them and the observer. 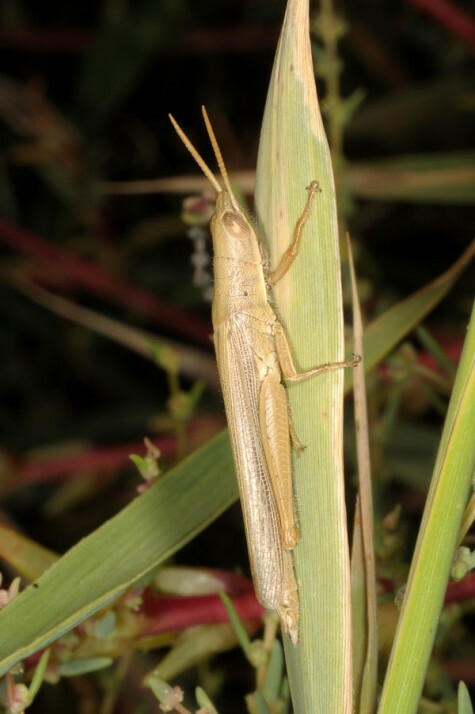 Females are much larger than males. 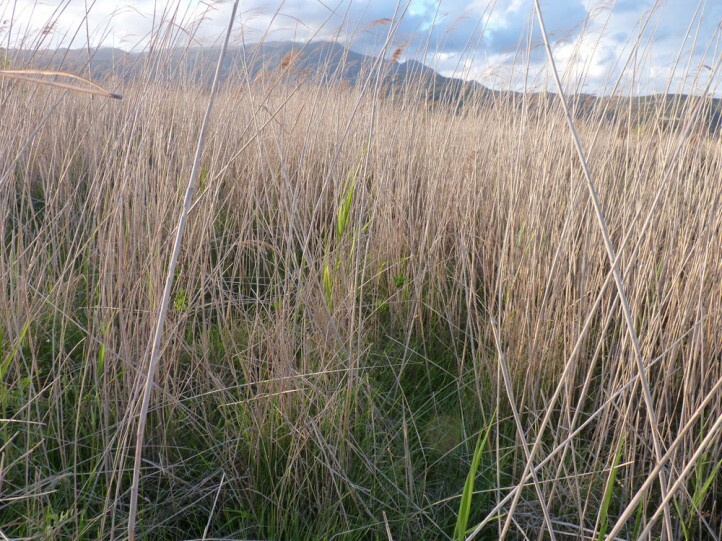 As coastal wetlands are specially threatened by agricultural intensification, tourism and urbanization, Tropidopola graeca is severely endangered. 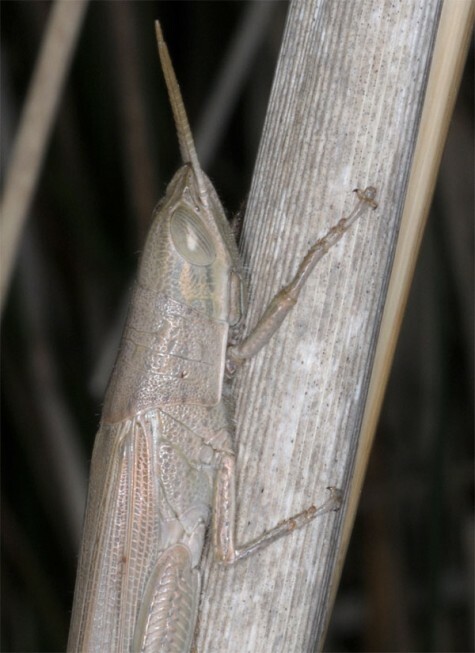 Tropidopola graeca occurs from SE-Italy (ssp. 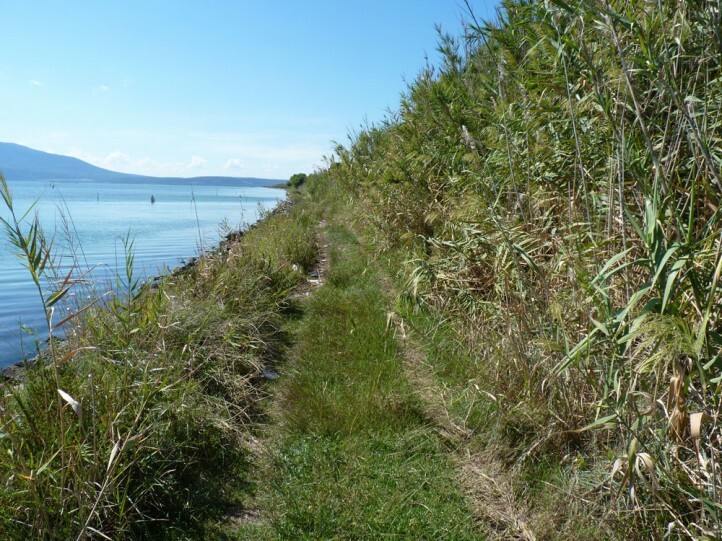 transjonicus) across Greece to Asia Minor and the Levant.